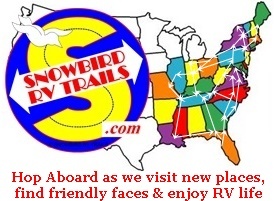 We have visited all of the RV Parks listed below. We will be happy to answer your questions about any of them. Click any of the RV Parks for additional information. NOTE: RV Parks with ONE asterisk (*) are Passport America (half-price). Two asterisks (**) on Locations indicate open year-round at last check. Mexico Beach, FL I-10 The "Forgotten Coast"